San Gennaro Italian Festival, Sept. 7-9, Seattle; Mukilteo Lighthouse Festival, Sept. 7-9; Washington State Fair Rodeo Parade and Cattle Drive Sept. 7, Rodeo Sept. 6-9. The San Gennaro Festival Italian street fair livens up Seattle’s historic Georgetown neighborhood with Italian music, food and festivities Friday, Saturday and Sunday, Sept. 7-9. Now in its sixth year in Seattle, the festival celebrates the patron saint of Naples in a tradition that dates back to 1926, when immigrants from Naples brought it to New York City’s Little Italy in 1926. Seattle’s festival celebrates the contributions of Italian Americans in the Northwest. Festival organizers will donate a portion of the proceeds to local charities, and host a Puget Sound Blood Center blood drive during the event, in honor of the Blood Miracle of St. Gennaro. The festival features Italian food vendors, a beer and wine garden, Italian wares and kids activities all weekend, with a traditional procession and blessing at 11:15 a.m. Saturday. Continuous entertainment features Ray Massa’s EuroRhythms Italian-American show band performing daily. 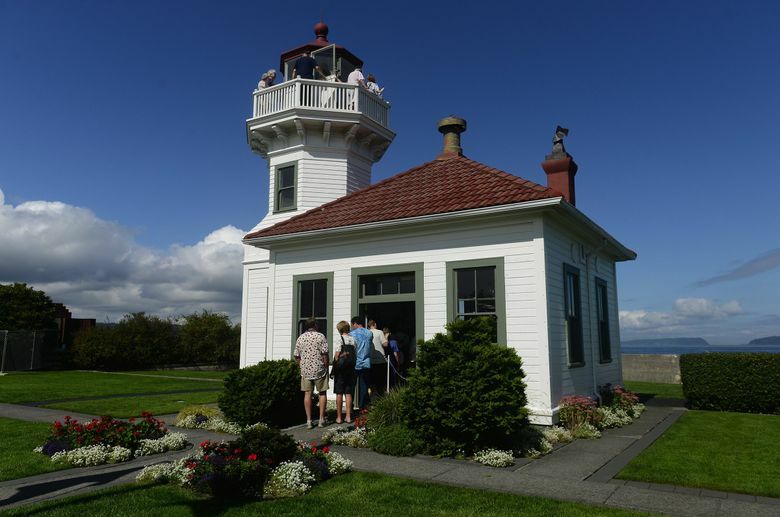 Lighthouse Park is the scene for the Mukilteo Lighthouse Festival Friday through Sunday, Sept. 7-9. Popular features include the beer garden with live music daily and televised football games on the big screen, the Avenue of Food, and Mukilteo Marketplace arts and crafts vendors. Activities for kids feature animal encounters, performances, pony rides and bouncy toys. Saturday’s festivities start with the Children’s Parade and Grand Parade on Harbour Pointe Boulevard and include a big fireworks show at dusk. Washington State Fair festivities continue through Sept. 23, this weekend featuring the Rodeo Parade and Cattle Drive through Puyallup to the fairgrounds at 10 a.m. Friday, Sept. 7, and pro rodeo performances and entertainment daily through Sunday, Sept. 6-9.